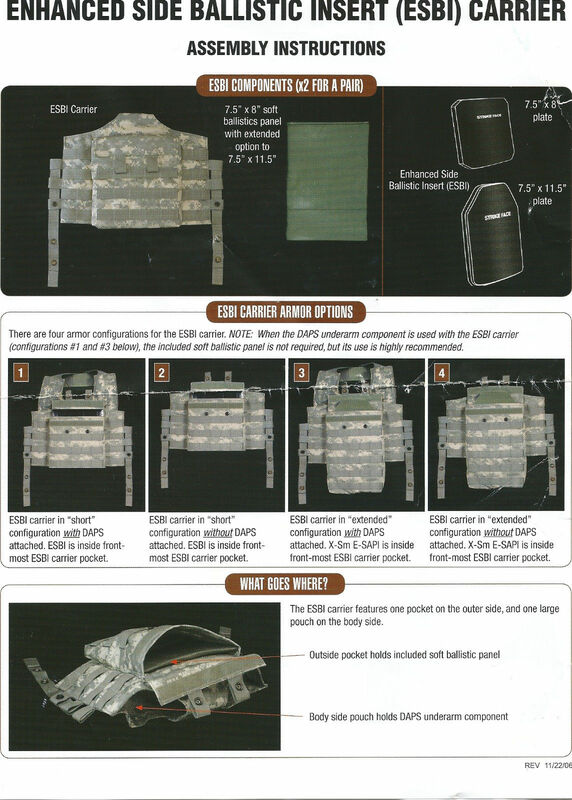 ESBI Carrier Assembly Instructions by Point Blank Body Armor, Inc. 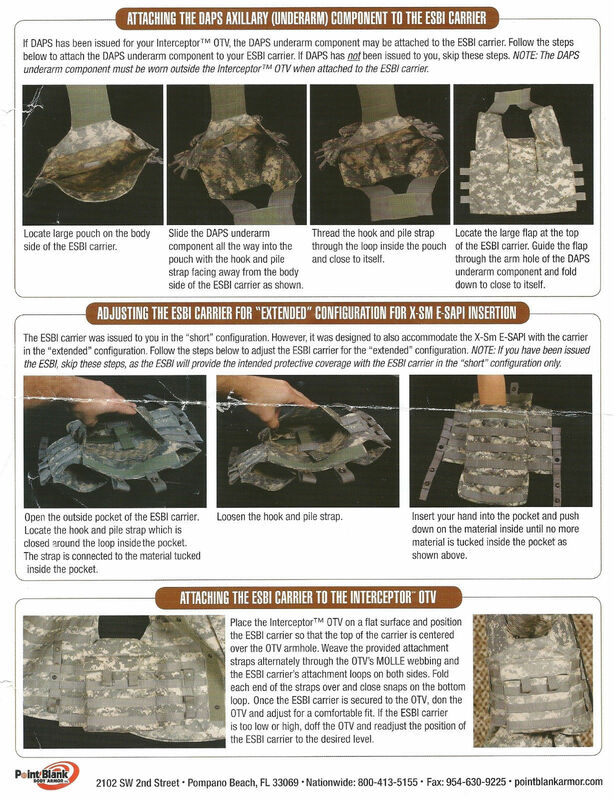 The carrier assembly attaches to the outer tactical vest by using the webbing on both the front and the back of the carrier. 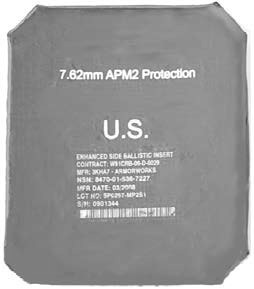 The carrier has one pocket on the outer side, and one large pouch on the body side. The outside pocket can accommodate X-Small ESAPI in extended configuration as well as the ESBI in short configuration. 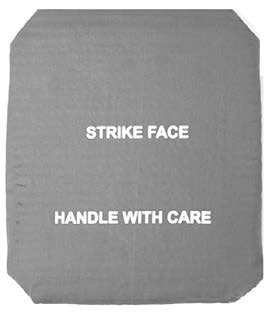 The body side pouch can accommodate the underarm component from the deltoid axillary protector.